CONTROVERSIAL businessman and socialite Wicknell Chivayo — more popularly known as Sir Wicknell — has paid lobola (bride price) for fiancée, Sonja Madzikanda, on Saturday, according to a post on his Facebook page. This comes after a social media post Thursday, where Chivayo boasted that he would be disappointed if his in-laws charged him less than $50 000 for lobola. Although he has previously expressed disdain for Zimbabwean women, the Harare-based Madzikanda has apparently stolen his heart. According to close sources, she is an accountant at a city firm located close to where Chivayo’s Mercedes Benz got clamped last month. 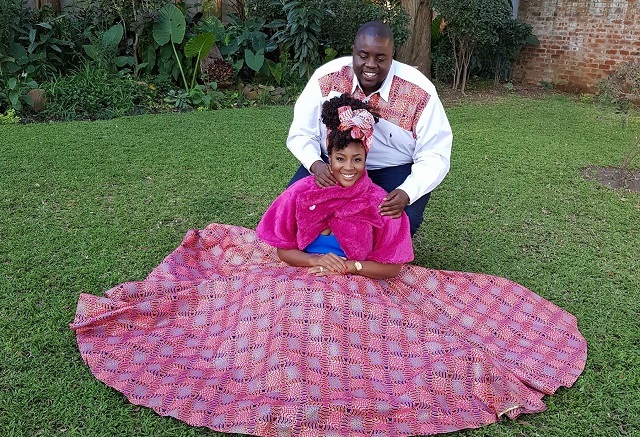 His fiancée’s father, David Madzikanda works at the University of Zimbabwe’s School of Commerce while her mother, Tabitha, is a manager with FBC bank. The family lives in Chisipite. Without giving out whether he was made to pay more than $50 000 as per his desire, Chivayo described the day as best in history. “Till death do us apart. A good woman is the greatest thing a man can have in his life. Glory be to God in the highest. Thanks to you my Facebook followers, your strong criticism and comments always give me strength to make good decisions like this’” posted Chivayo.